Welcome to Ms Tanner DeBellis, student teacher from Wake Forest! 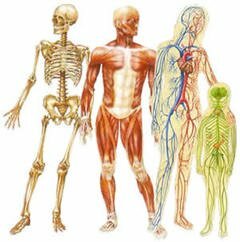 Biology is a great class to help students learn about all living things and the processes they carry out to stay alive. Biology has an end-of-course test that is required by the state of North Carolina. There will be written homework at least two nights a week. Honors will do several projects throughout the year. We will do labs and hands-on activities so students can apply what they learn. Anatomy is an elective science for juniors and seniors. There will be an emphasis on college-prep study skills. We will do a lot of labs and group activities. There will be an honors project that spans the entire year. Specific guidelines will be given quarter by quarter. Guest speakers are an important facet of this class, and I encourage students to bring in friends or relatives who work in health-related careers.